Ralph Waldo Emerson once penned, “The creation of a thousand forests is in one acorn.” One thing Emerson failed to mention was the long, arduous process involved in the creation of a thousand forests. It’s hard to be still like this one acorn found in the snow. Remember how much energy it takes to create the forest. Enjoy the gift of the holidays, this quiet season. 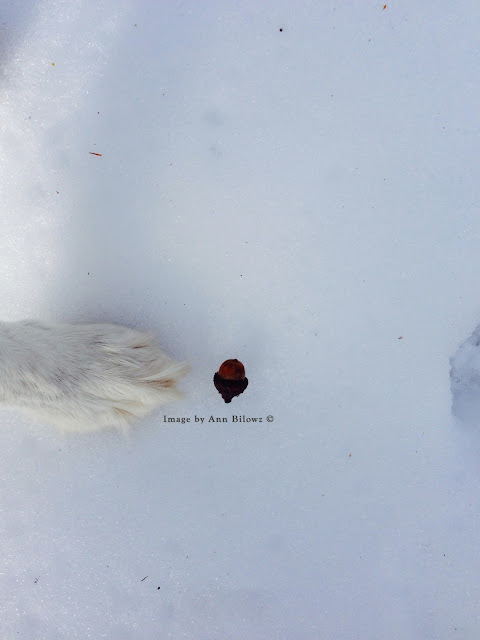 Be still like this one acorn found in the snow. Labels: be still like this one acorn in the snow, Ralph Waldo Emerson quote.